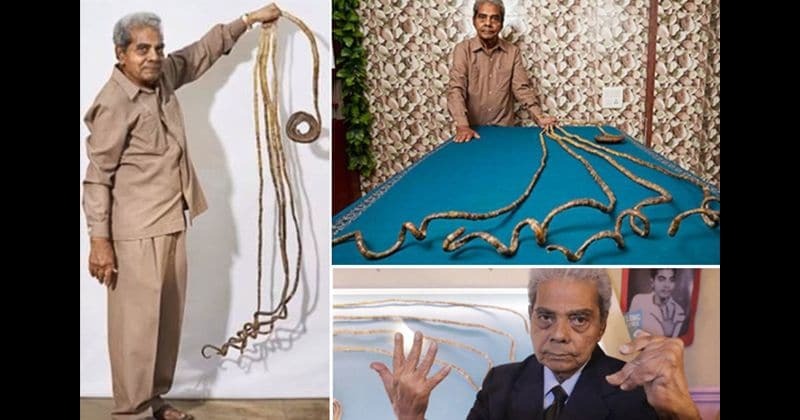 An 82, this man who holds the Guinness World Record for the longest nails ever, finally chopped them off after growing them for 66 years! 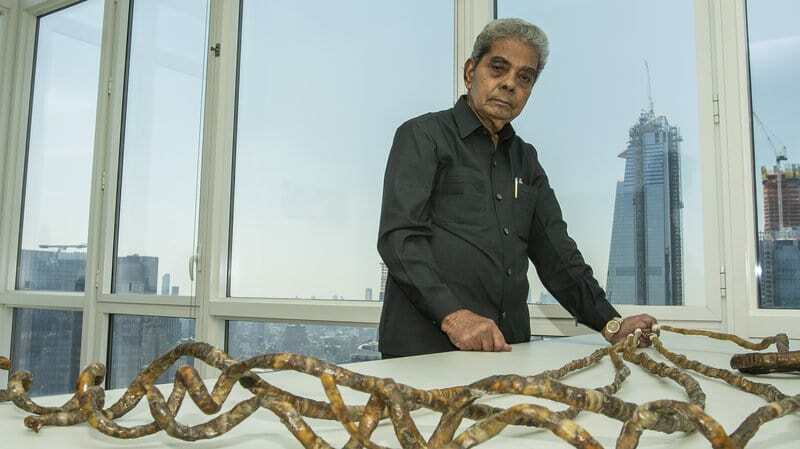 This 82-year-old man from India, Shridhar Chillal, who holds the Guinness World Record for the longest nails, ever, has finally chopped his nails off! 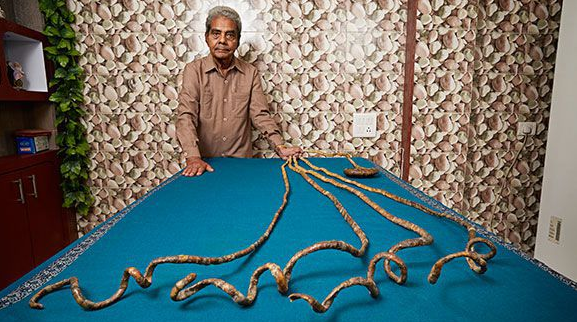 It took Shridhar 66 years to grow those long nails and only a few minutes (and, a mechanical power tool) to cut his nails. According to the Guardian, Shridhar has been growing his nails since he was 14 years old. He was inspired after he accidentally broke his teacher's long nail and the teacher scolded him saying he wouldn't understand how much patience and care it requires to grow a nail. He took it as a challenge. "I don't know whether the teacher is dead now or not but I would definitely like to say that the thing for which you scolded me, I took it as a challenge and I have completed the challenge and now, I am here," he said. His nails were about 909.6 centimeters, combined. 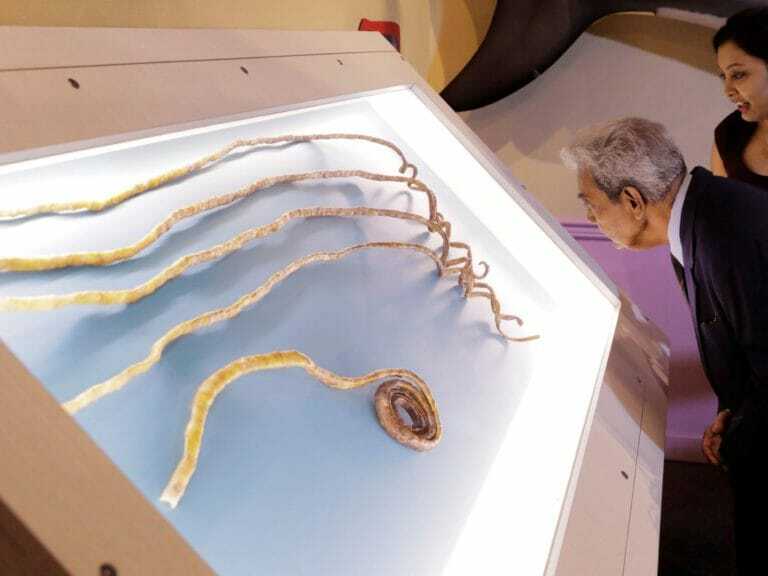 His single longest nail, the thumbnail, lengths roughly about 197 centimeters. 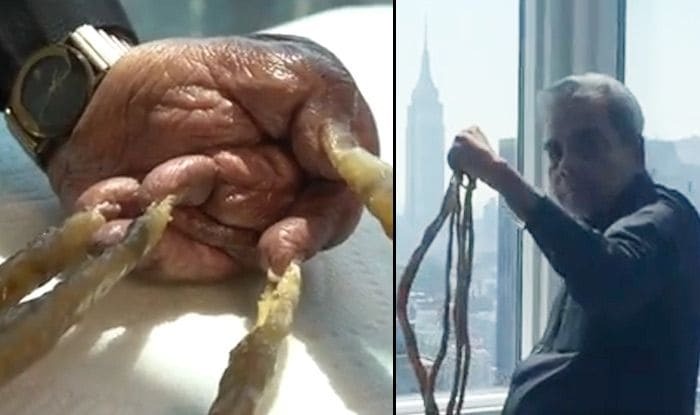 It took the man 66 years to grow them after all. Shridhar was skeptical at first about cutting his nails but then when he realized his nails will be kept at The Ripley's Believe It or Not Museum, Times Square New York, he agreed. However, fame comes at a prize. Because of weight and lack of moment, Shridhar's fingers fused together and he can't use his hand. Despite that, Shridhar continued to work as a photographer for 22 years! He is a married man with two children and 3 grandchildren. The video for Shridhar's 'nail removing ceremony' was recorded and published. The video is gone viral and the internet just can't get enough. While some are absolutely amazed by his dedication, some are disgusted and are full of questions.